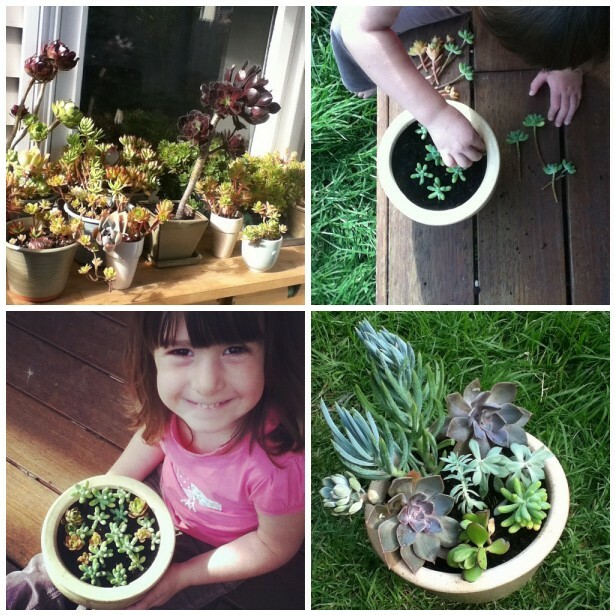 a little succulent replanting in our own sunshine this past weekend. the lovely joanna tagged me (possibly a couple of weeks ago now... time, time, time, just flies) for the sunshine award thingy (remember when these were called memes? why was that? and are they not anymore?) that is doing the blog rounds. i haven't done one of these for ages so thanks, joanna, nice to have an excuse to post something other than product shots. my all-time favourite colour is grey, it's the one i'll always choose first in clothing, fabric, housewares, etc. blue is a very close second though, pale, pale turquoise, deep, deep teal, mmmmmm hmmmm, i love me a good blue. birds. colourful, clever, graceful and pretty and endless variations of shape, size and features. facebook. i know it's a bit daggy but i just ignore all the lame game requests and stupid gimmicks that just want to access your information and find it brilliant for keeping up with pals and family back in canada (and even my pals just down the street, really). and my maze & vale page is a good spot to share "work" stuff when i can't manage a full blog post. 19. it's been my favourite since i was about 12 or so and, although i don't remember the year i was actually 19 being all that great, i'm sticking with it. currently, thursday. i loooooooove my kids but i loooooooove having a day to myself. the silence and freedom to tackle whatever i want for hours on end is a balm for my sanity. my family, my house, my camera, sewing, colour, design, cloth. i like to give, i like to get but the scales probably tip in the give favour, especially when it comes to my kids. i usually have their birthday and christmas presents planned months in advance. i'm drawn to circles and dots, preferably lacking in distinct pattern. i like a bit of random in my patterns. impossible to pick a favourite. off the top of my head, i love hellebores, dogwood, hydrangea, grevillea and eucalyptus blooms. loving your succulents. we're a bit succulent mad over at our place too!